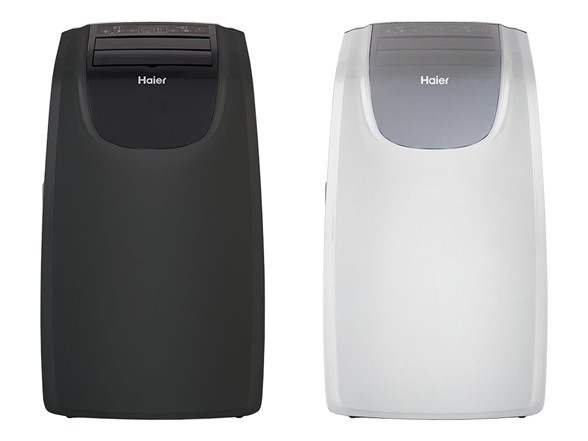 Haier 13K Portable Air Conditioner is the smart way to stay cool while saving energy in rooms up to 400 square feet in size. 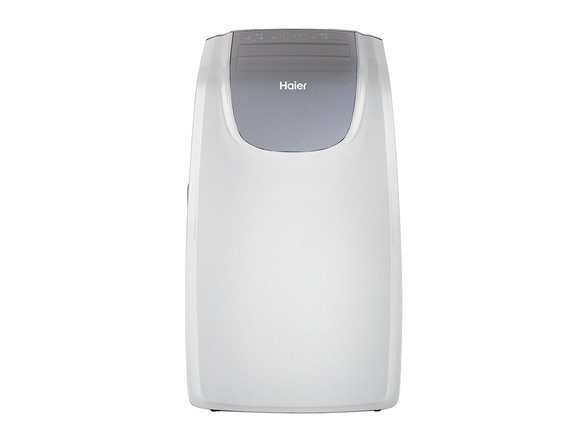 Portable but powerful, this 3-in-1 unit features cooling, dehumidifying and fan modes. 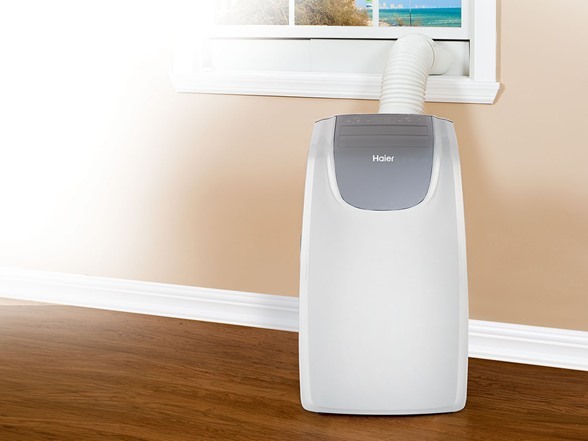 Enjoy peace of mind with its no-drip technology that automatically recycles condensation within the unit, helping to prevent any type of leaks. It features electronic controls with an easy-to-read lighted display, an adjustable thermostat, 3 fan speeds, a mode selection and a 24-hour on/off timer. Plus, it comes with a fully-functioning remote featuring an LCD display to control all of its settings. Because it’s easy to set up and move around, the unit lets you cool only the room you’re in, so you can raise your household thermostat and reduce your utility bills. Cool the Room You’re in - By cooling only the room you’re in, you can raise your household thermostat and lower your energy bills. Quiet Comfort - Designed for quiet operation and peaceful cooling. Portable Comfort - Sets up in minutes. Castor wheels and handles allow you to move it easily from room to room. 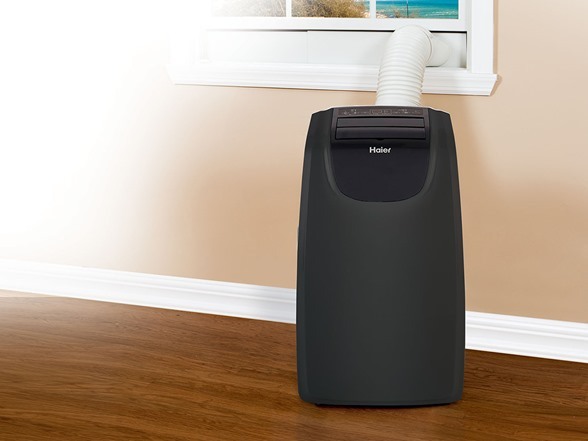 No Drips, No Leaks - No-drip technology automatically recycles condensation within the unit, helping to prevent any type of leaks. 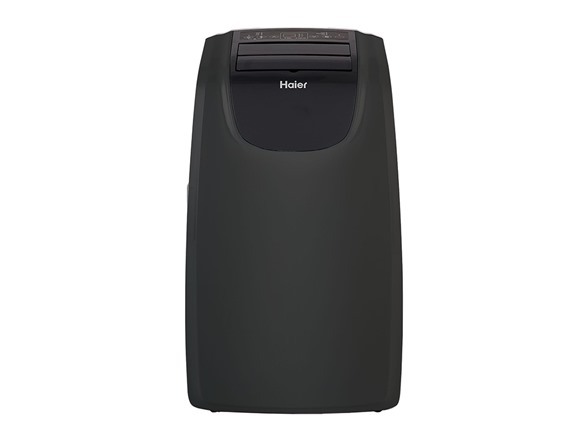 Electronic Controls With Lighted Display - Features an adjustable thermostat, 3 fan speeds, timer and mode selection. 24-Hour Timer - Set the timer to turn on or off. 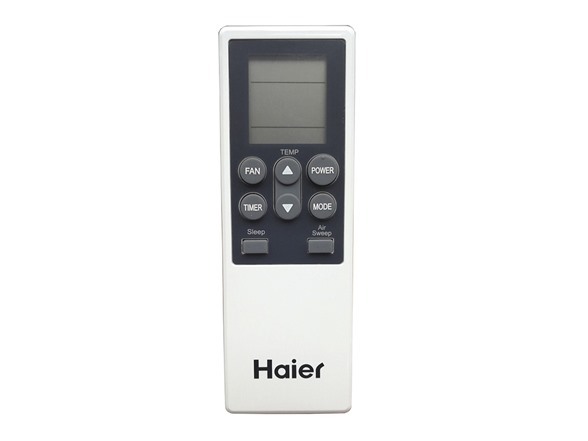 LCD Remote Control - Full-feature remote with LCD display controls all unit settings.